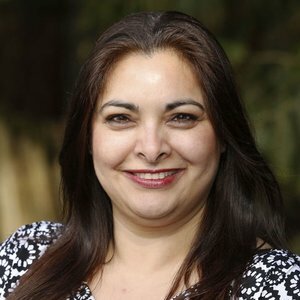 Manka Dhingra is a Senior Deputy Prosecuting Attorney with the King County Prosecuting Attorney’s Office, an award winning PTSA mom, an anti-domestic violence advocate and a community leader. She is running for State Senate to address critical needs in education funding, mental health, violence prevention, and to protect the rights of women. As Chair of the King County’s Therapeutic Alternative Unit, Manka supervises the Regional Mental Health Court, which received the Randy Revelle Award by the Washington State Psychiatric Association. She also oversees the Veterans Court that serves veterans with disabilities and the Community Assessment and Referral for Diversion program. To reform and improve our criminal justice system, Manka has worked with to ensure individuals get the treatment they need to return to being productive members of our community. A mental health and crisis intervention expert, Manka provides training to law enforcement and recently started a collaborative effort with King County law enforcement agencies to coordinate response and help avoid tragedy. She also works directly with Harborview Hospital, mental health professionals and our courts to improve criminal justice outcomes for mentally ill individuals— seeking to close the revolving door of jail, homelessness, and crime. A longtime advocate for women and immigrant rights, Manka recognized how often domestic violence in the South Asian community goes unreported. In response, she co-founded Chaya (now API Chaya) and has since led the organization’s work to end systemic violence through education, prevention, and organizing. She also served on the Seattle Police Department Muslim, Arab, and Sikh Advisory Council to address hate crime issues in our region in the wake of 9/11. Manka holds a JD from the University of Washington School of Law and Bachelor of Arts degrees in History and Political Science from the University of California at Berkeley. She has been a prosecutor with King County since January 2000. A mother of two children who attend Redmond public schools, Manka received the PTSA Golden Acorn Award for her work at Redmond Elementary School and remains a proud Girl Scout mom. Manka and her husband, Harjit Singh, a distinguished engineer at SpaceX, live in the Education Hill neighborhood of Redmond. Read more on Manka&apos;s website.